When creating an atmosphere there is no substitute for candle light. 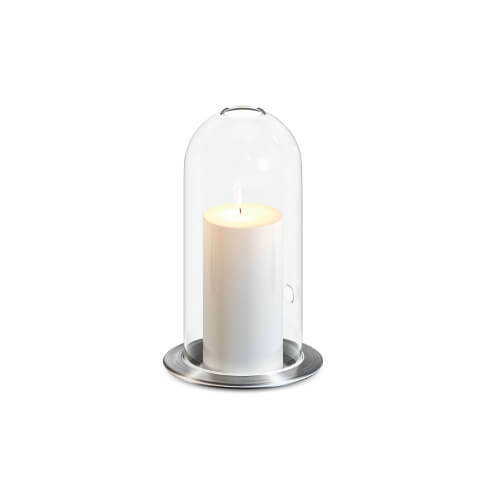 Our glass dome was especially developed to cherish the flame and provide extra cachet to your interior. 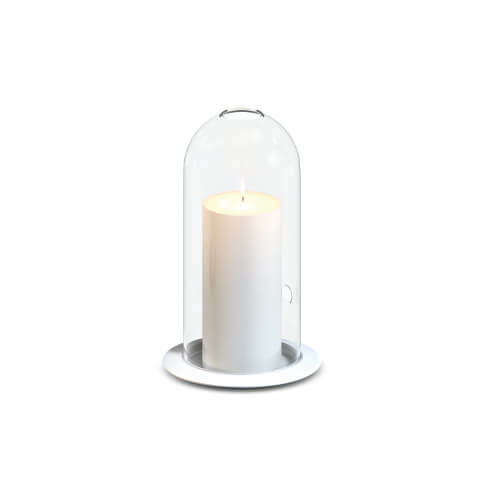 The candles can be used inside and outside because of the unmatched qualities of this range. 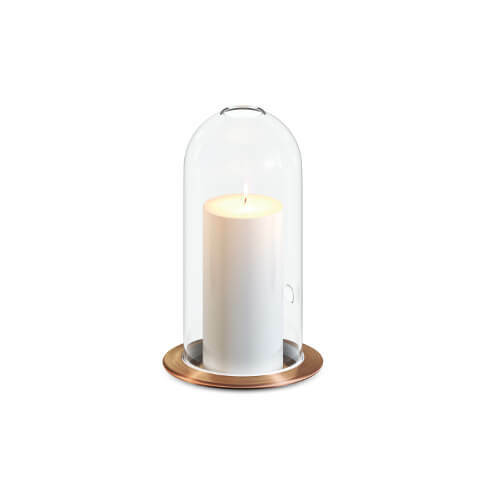 The flame is shielded from the elements by the glass dome. 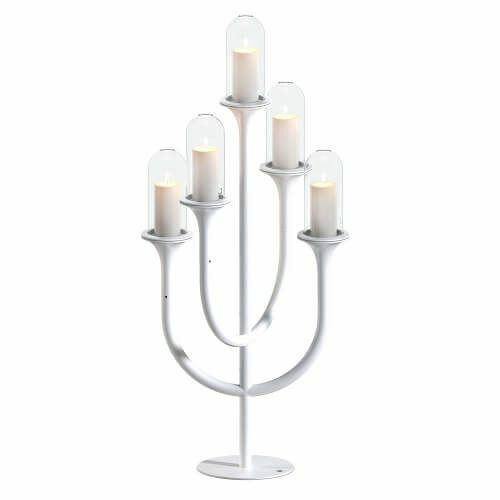 Again we have chosen high quality stainless steel, with an optional powder coating, as the base for the candelabras and candle stands. Optional coatings are stain free, no need to polish! There are endless variations available with different finishes in exclusive materials to develop a unique piece. 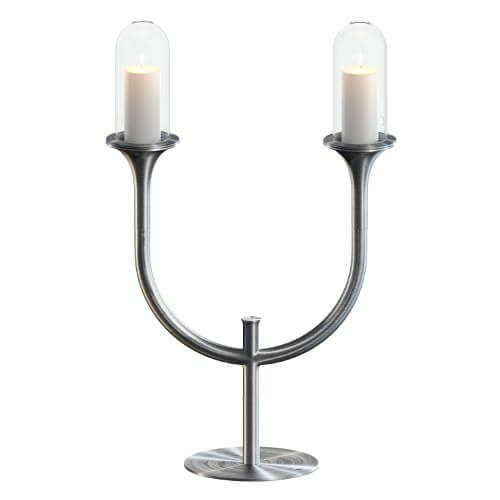 Brings a warm ambiance on every table; indoor or outdoor. Let the weight of ‘Dish’ surprise you. “This is our massive stainless steel tribute to durability. ‘Dish’ is the heart of this candle collection, the stable base of every product”. Teun Fleskens, designer. Keeps the flame burning. 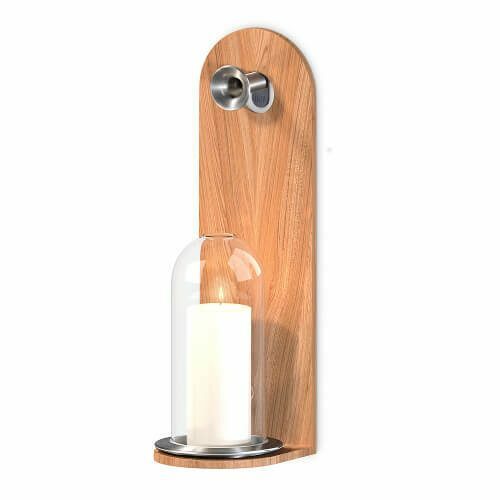 Makes every candle stand or – holder suitable for indoor and outdoor use. 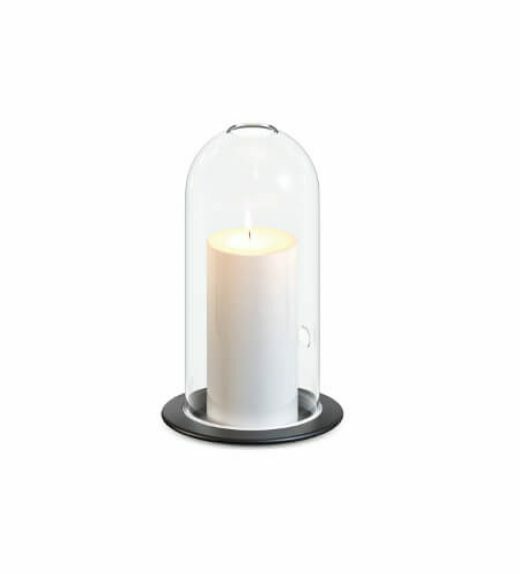 Protects the candle from wind and increases safety.